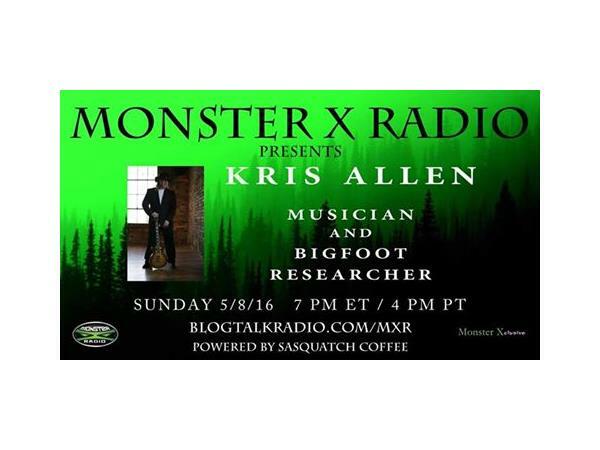 Join Monster X Radio hosts Gunnar Monson and Shane Corson as they sit down with country music superstar and Bigfoot researcher Kris Allen. Kris is not just a superstar within the music industry, he is also a dedicated Bigfoot investigator. Kris has traveled the country in search of these creatures and has had what he believes to be many real sightings. Kris even hosted his own Radio Show based on Bigfoot called “Kris Allen’s Monster Theater".